Description: Closed equations for spatial-frequency correlation functions of wave field in media with delta-correlated field of dielectric permittivity fluctuations of arbitrary statistics are derived in Markov approximation. The proposed approach is based on the path integral method in the theory of wave propagation in random media. 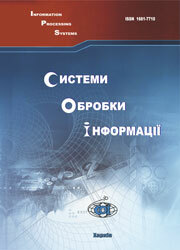 Stadnik, A.M., Mozhaev, A.A. and Vasilev, A.S. (2005), “Prostranstvenno-chastotnye funktsii korreliatsii volnovogo polia v sluchaino-neodnorodnykh sredakh”, Information Processing Systems, Vol. 1(41), pp. 135-147.